One of the major benefits of fruits and vegetables is that they can be eaten raw, the only state in which their vital nutrients are intact and the disease-causing changes brought about by heat have not occurred. Just a bit of heat can drastically reduce the amount of nutrients in any given food, and cause the denaturement of protein, one of the causes of disease. "Besides agreeing with the aims of vegetarianism for aesthetic and moral reasons, it is my view that a vegetarian manner of living by its purely physical effect on the human temperament would most beneficially influence the lot of mankind." Learn exactly how eat destroys the food you eat and robs you of your health here. People who go on a raw fruit and vegetables diet tend to very quickly drop weight, shedding water weight rapidly when toxins like salt are eliminated, but also steadily dropping a pound or two a week of fat. Raw food weight loss works because, among other reasons, fruits and vegetables are considerably lower in calories than most other foods like meat, dairy, eggs, and other processed foods. Learn more about how to shed pounds painlessly here. There's nothing in meat, dairy, or eggs that provide the body with anything it needs for optimal health. Quite the contrary, scientists have long known that those who consume animal protein greatly increase their chance of dying of heart disease, cancer, and numerous other diseases. Read the many reasons to avoid meat here, and why dairy should be avoided here. Want protein? You've got it. Want phytonutrients? They're there too. All the Vitamins and minerals science has identified? Check and Check. To get you many nutrition questions answered, check out this section of the site. 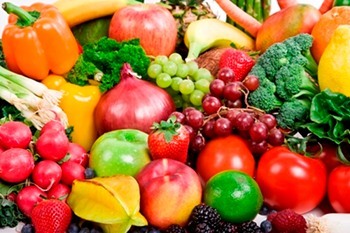 The Fruit And Vegetable Diet: Practical Application? So what does a raw fruit and vegetable diet looks like in application? It's simpler than you'd think. The first course of a dinner meal might consist of 15 peaches, with the second including two heads of lettuce, tomatoes, celery, a bit of avocado, and a fantastic dressing. Does the thought of eating all that salad daunt you? 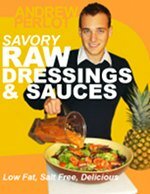 A healthy low fat raw vegan dressing will make the idea a lot more appealing. 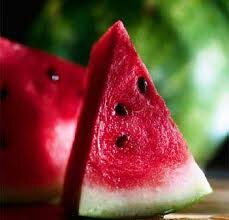 For more details about how to manage a healthy raw food diet, check out this page. Find out how the fruit and vegetable diet can not only supercharge your health, but also your lifestyle.